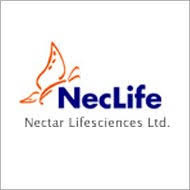 About company: Nector pharma Ltd. (NLL) is a knowledge driven organization which constitutes a vital part of fast growing Indian Pharmaceutical Industry. In a short span of existence, NLL has today emerged as top ranked organization amongst midsized Pharmaceutical companies in India as per “Fortune Next 500” 2017 & is currently among top 40 fore runners of the Bio-Pharmaceutical industry in Asia-Pacific Region as per “Bio-Spectrum Asia Pacific” 2016 besides being one of the top amongst Indian Bulk Drug manufacturers in India. NLL has transformed itself from being a small Domestic API player to one of the most integrated player in the Global Cephalosporins Industry within Anti Infective Therapeutic segment. NLL currently has a strong hold of API & Formulation business in almost 70 countries of the world. with 11 State of Art manufacturing facilities spread across the States of Punjab and Himachal Pradesh with compliance to global standards of cGMP, Environment Health Safety (EHS) as well as pool of thousands of highly skilled, knowledgeable, competent qualified work force at all levels.